President Omar al-Bashir is Africa’s and arguably Arabia’s most controversial leader. In power since 1989, he is the first sitting head of state to be issued with an arrest warrant, for war crimes, by International Criminal Court. He has been a central personality in Islamic and African politics, as well as a love-to-hate figure for the US in the ‘war on terror’. 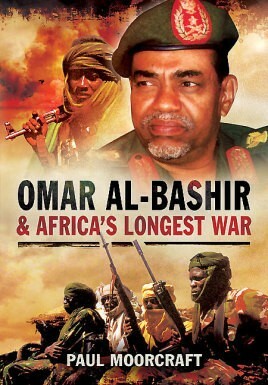 For military history readers, Al-Bashir is a field marshal who has fought possibly the world’s longest conflict. Modern Sudan has been embroiled in war since 1955. No proper biography has been written on him before. Nor has there been a comprehensive military history of Sudan. The book briefly covers the military background until independence. Then it dissects the long north-south civil war until Bashir’s Islamist military coup in 1989. Thereafter it narrates the wars in the east, south, west (in Darfur), International political and military intervention is also factored in. The author draws on in-depth one-on-one interviews with Bashir himself and his family and close political, military and intelligence colleagues.